Do you have an e-commerce website that’s not responsive? Hire a web developer & redesign your existing store to a responsive website. Why responsiveness of a website is so important? Studies have shown that e-commerce stores that have a responsive design gets 30% more sales as compared to those websites that are non-responsive. Therefore, having a responsive e-commerce website design is no more fancy. It’s rather mandatory. 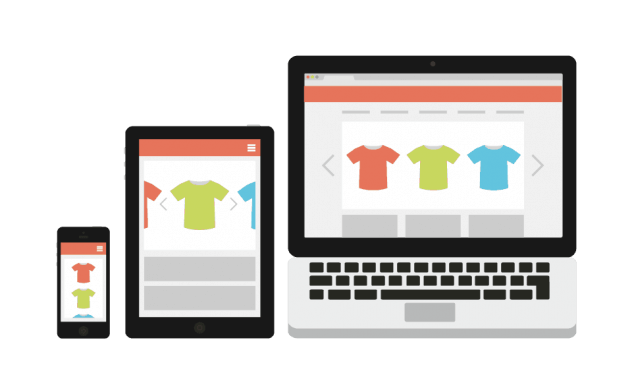 Here are 6 reasons why your e-commerce website must have a responsive web design. This is perhaps the most important reason to have a responsive e-commerce store. In the absence of a responsive website design, your e-commerce website may load on the users’ device in such a way that they may need to zoom-in & zoom-out to view the website contents. This kind of experience could be annoying & frustrating for your potential customers. As a result, you may get higher bounce rate & lower sales. In order to avoid this situation, you must ensure that your web developer builds your online store with a responsive design. Google has already declared officially that its search engine algorithms have higher consideration for a responsive website to rank on search result pages as compared to the websites that don’t have responsive design. As we all know that the primary objective of building any e-commerce website is to increase online sales by getting targeted traffic. Having said this, search engines are among the most effective mediums to get relevant traffic to any website and therefore, it does make sense to comply with their norms. Various studies have showed that more than 60% of the online buyers use their hand-held devices to purchase their desired products. So, if your e-commerce website is not responsive, you may miss out the majority of your customers. Most of us are on social media. What does this means? This simply means that the majority of your targeted customers are active on social media platforms like Facebook, Twitter and Instagram. Therefore, its quite clear that if you market your products or website on all or any of these major social media platforms, you’re gonna get more traffic & sales from your e-commerce store. But at the same time, we also know that most of us check our social media accounts using our hand-held devices like phones & tablets. Given this scenario, it’s pretty clear that if your website is responsive, you can serve your social media traffic in a better way otherwise you are going to loose the bigger share of your market pie. A responsive e-commerce website enables your potential customers, who are browsing your website through their devices, to easily perform all the necessary actions to place their orders successfully such as add to cart, checkout, update cart, fill–up billing & shipping information and make payment. A responsive e-commerce website always complements with all of your marketing & advertising campaigns. No matter if you are investing your funds on search engine optimization, social media marketing or search engine marketing, the success of your campaign depends on the number of conversions that it drives at the end of day. Having a responsive e-commerce store helps you to save your advertising & marketing dollars which could get wasted in the absence of a responsive design. If you are planning to develop your e-commerce website, you must ensure that your web developer incorporates responsive design feature in your e-commerce proposal. Even if you have a website that’s not responsive, you must engage a web developer to convert your existing website into a responsive website. This small investment is really worth it. If you are falling short of your budget, you may consider hiring Indian website creators who can help you to get a fully-functional responsive e-commerce store at affordable price. Need An E-Commerce Website? Contact Us!